My vantage came stock with a piano black waterfall which I never loved. 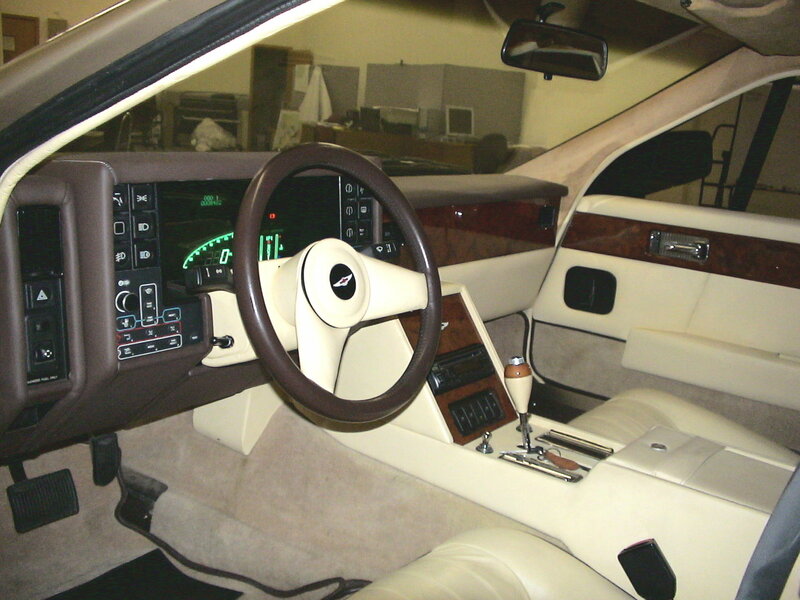 I've always felt that a proper British car should have some sort of wood on the dash. Well it piano black began to crack at the corners of the nav screen and I really didn't want to pay $1000 for another piano black piece. Madera Concepts to the rescue. They did a unbelievable job at transforming the boring piano black piece to what I consider a proper burled walnut piece and saved me hundreds of dollars in the process. These people at Madera are true craftsmen and I couldn't ask for a better outcome. Looks great! British gentleman's GT needs burl. 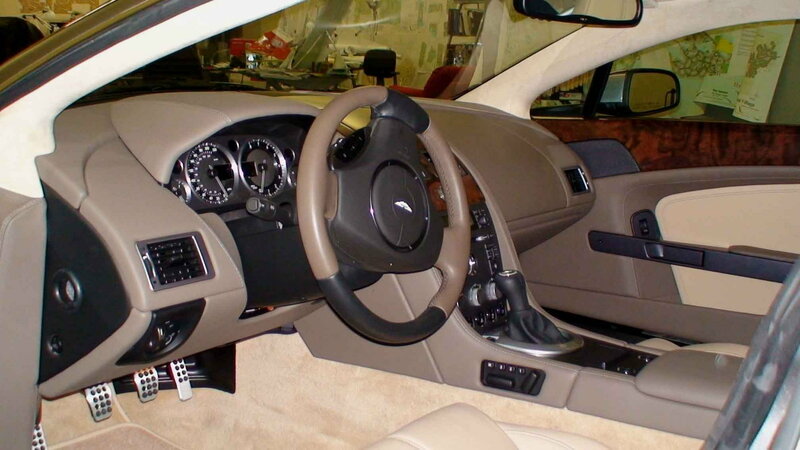 I agree - a proper English car should be leather and wood - I guess from my days owning Lagonda's before the Vantages. 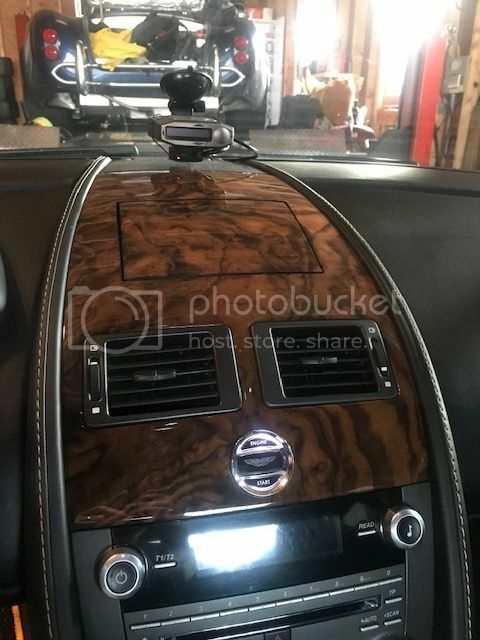 When I ordered new, my 2007 Vantage I had the wood 'ski-slope' (that's what they call it), and door caps in burr Walnut. In my 2015 V12S I had the black ski-slope changed out to Ash. Aston Works did the Ski-Slope AND Wood door panels in 2007 for just $2,995.00! I'm seeing what the door caps would cost from 'Q' in Ash now - did not get a price back. Love it. Did you purchase and select your veneer yourself from VeneerSupplies, or did you have Madera source it? We bought five different species, wet them down with alcohol to see what they'd look like with a clear finish, and picked our favorite (AAA Fumed Etimoe). Not sure how AstonBits was able to sell me a new Tamo Ash panel for $900, but they did and it really upset my local Aston dealer that they could source a part for a fraction of the price that my local dealer would pay. Maybe someone ordered it and changed their mind, but for $900 I thought it was a steal. How expensive is the install at a dealer or the like? The piece is very easy to remove but it is a fair amount of work to take out the nav unit and ignition assembly. The whole process took about 45 min so if you can get it done by the dealer for $80 you got a great deal there as well. If you decide to have it done drive down to Seekonk with a good bottle of wine and I'll do it for you. That looks fantastic! Very DB9! 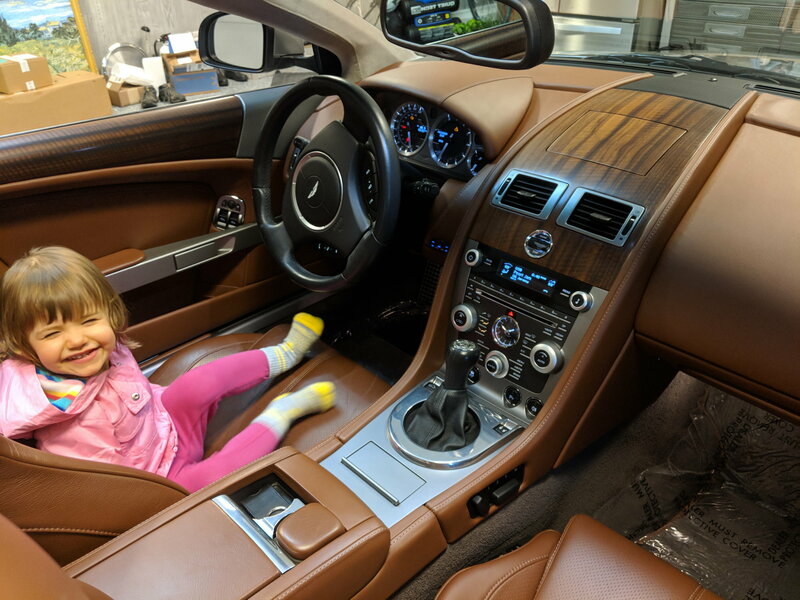 I just bought a 2017 V12S - I have a feeling that I'm not going to love the carbon fiber ski slope and 'Q' does not seem to be interested in helping me out - so next winter while the car's in storage I might be another Madera client.